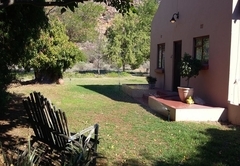 Kleinfontein is a highly recommended property providing self catering in Clanwilliam for tourists visiting the Cederberg region. 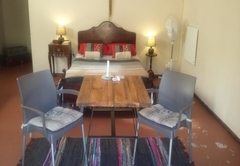 Kleinfontein offers a warm farm-like ambiance and basic self catering in two quaint units in the Clanwilliam area just after the Pakhuis Pass. 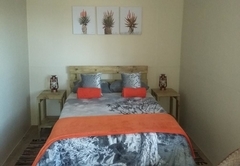 While staying at Kleinfontein you can enjoy tranquillity, stunning starry nights and have a great base from which to explore the Cederberg and flower haven. 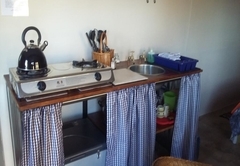 The units have basic equipped kitchens, linen and towels and wireless internet included. 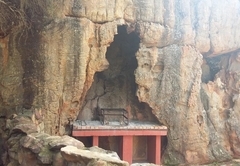 Witkaree has a farm-like atmosphere. 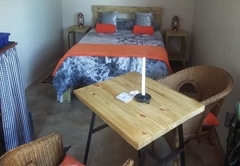 The cottage has two bedrooms, an open plan kitchen and living room and sleeps up to five guests. 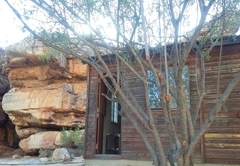 Klipspringer is a one room studio unit, with a living area, kitchenette and an en-suite bathroom. 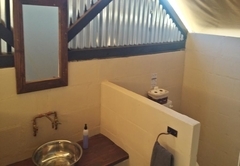 This unit is a secluded, off the grid cottage in the mountains. 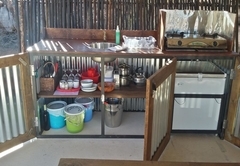 The unit has a basic equipped kitchen with fridge, en-suite bath room with hot water and supplied linen and towels. 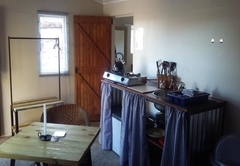 Unit consist of 1 room with a double bed. 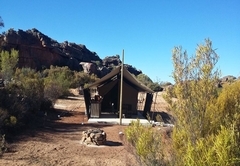 Luxury tent with an on-suite bathroom and basic "stoep" kitchen with fridge and supplied linen and towels. 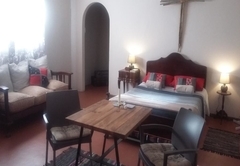 The room consist of a double bed and a single bed. 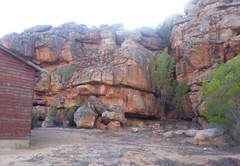 Within the rock face you will find a fabulous barbeque / braai area available for your use. 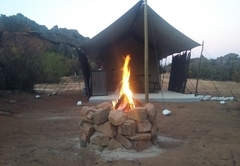 We provide firewood for barbeques (please enquire at the office). 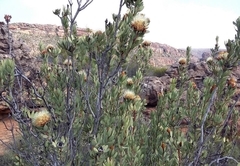 Please ensure you drive slowly and carefully in and out of Kleinfontein as the roads are used by hikers and the local wildlife. 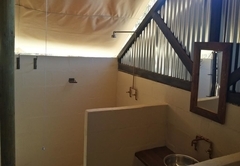 To get away completely from from the rat race is difficult. 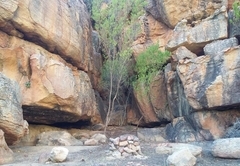 If that is what you desire, then this is the place. 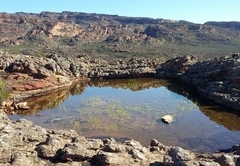 We had a wonderful stay and finally got to see all those missing stars that allude us near the cities. 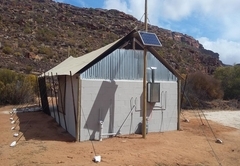 Response timeKleinfontein typically responds to requests in 5-10 minutes.